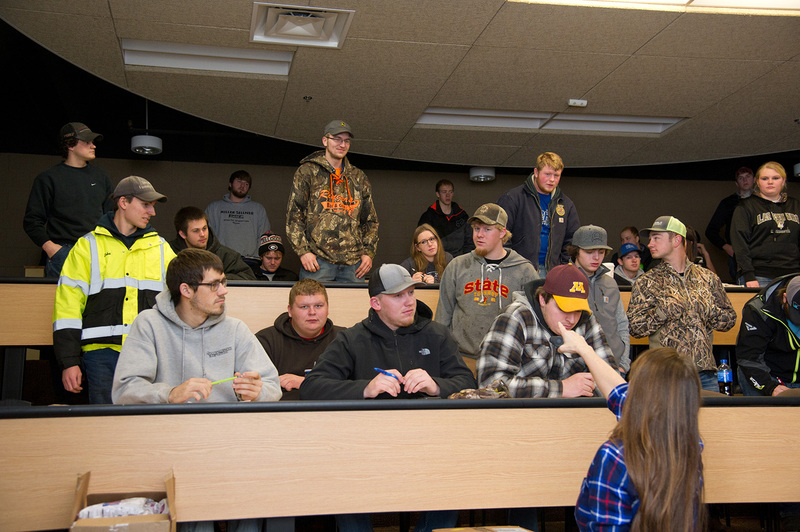 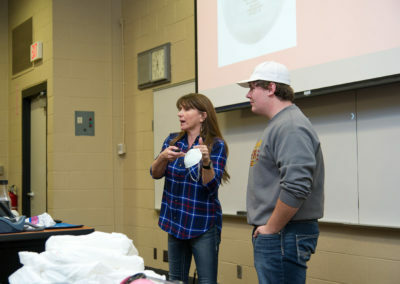 Gear Up for Ag Health and Safety™ focuses on educating the next generation of agriculture by interacting with students at Ag Colleges. 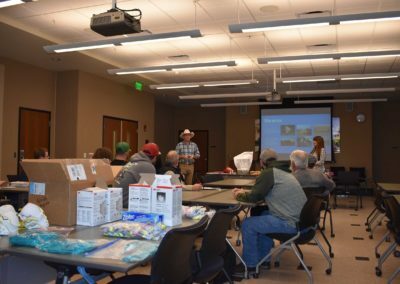 The program reaches multi-generations living and working together in agriculture through sharing of information with family and friends. 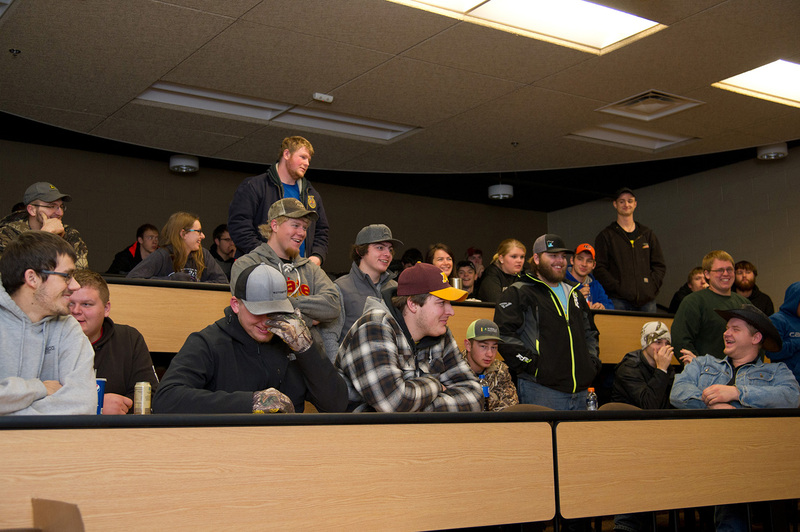 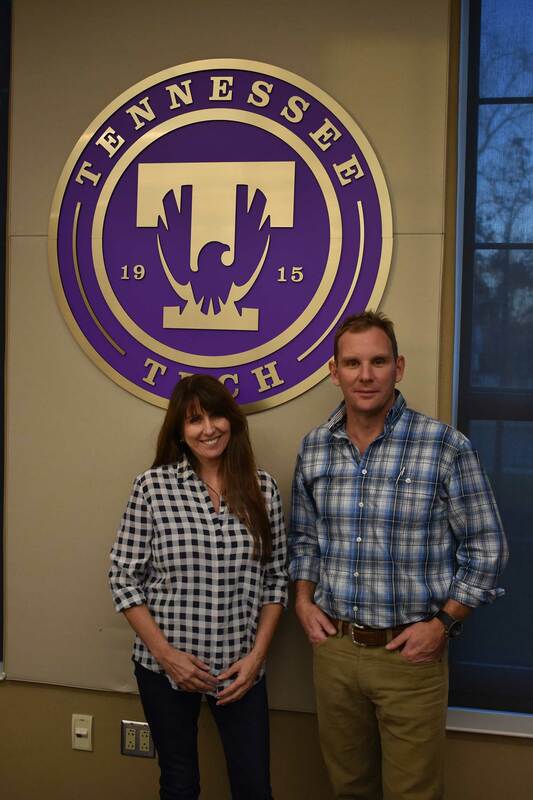 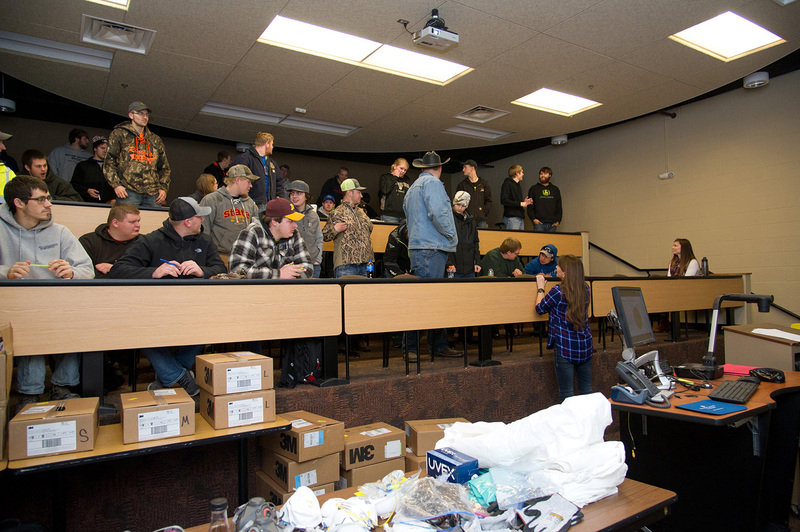 This program is applicable to any post-secondary Ag student attending trade schools, colleges and universities. 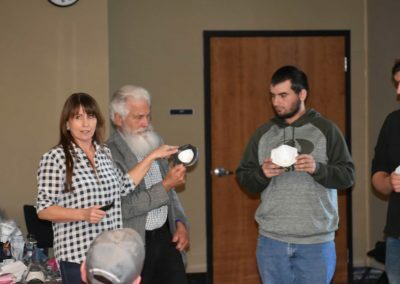 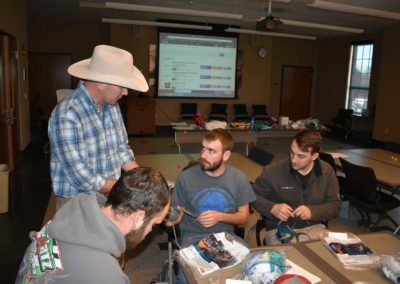 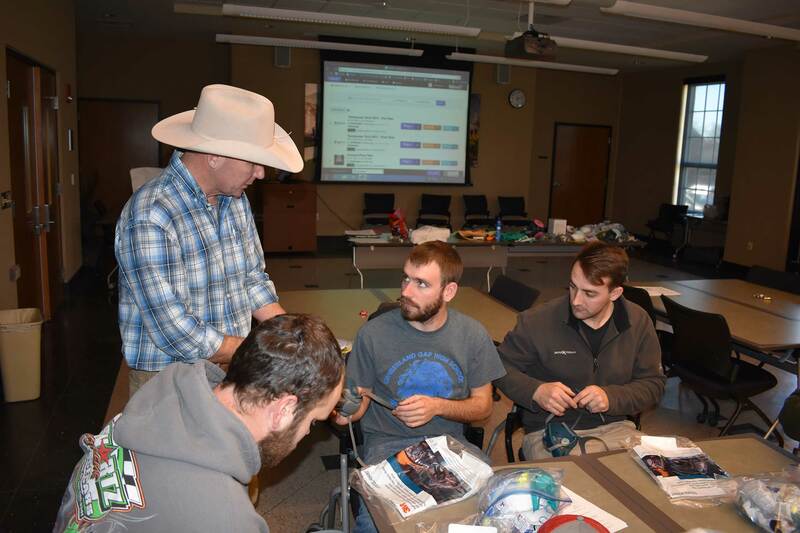 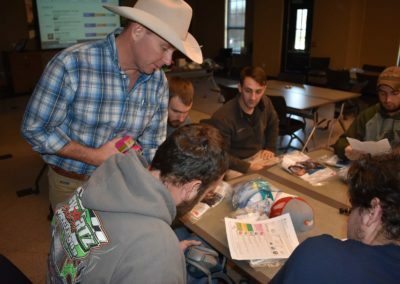 Benefits of the program reach those engaged in agriculture including Ag business, Ag extension, Ag education, Ag trades, on farm work, public health, veterinary medicine, and many more applications. 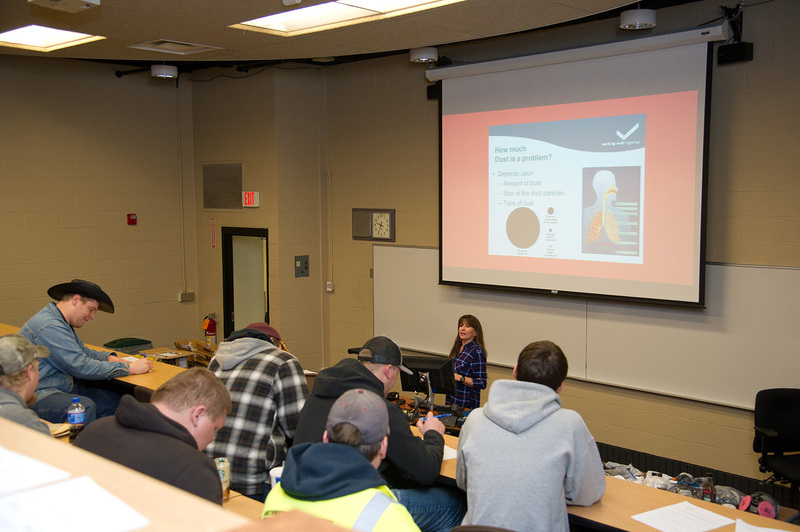 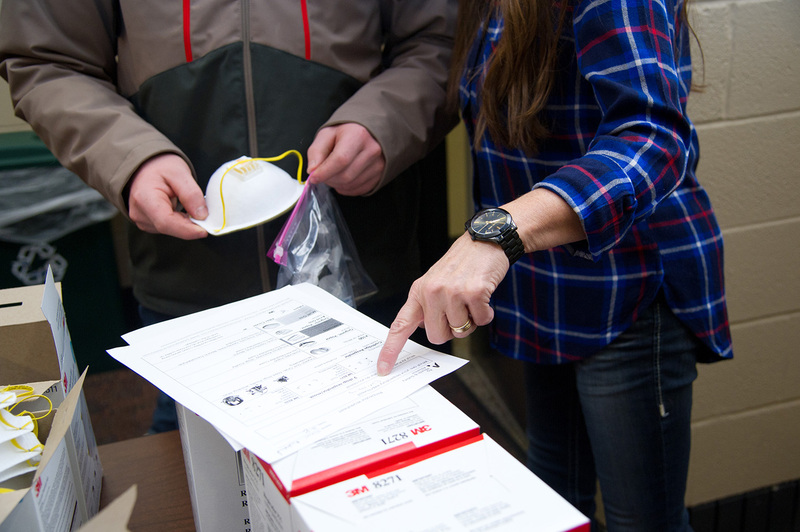 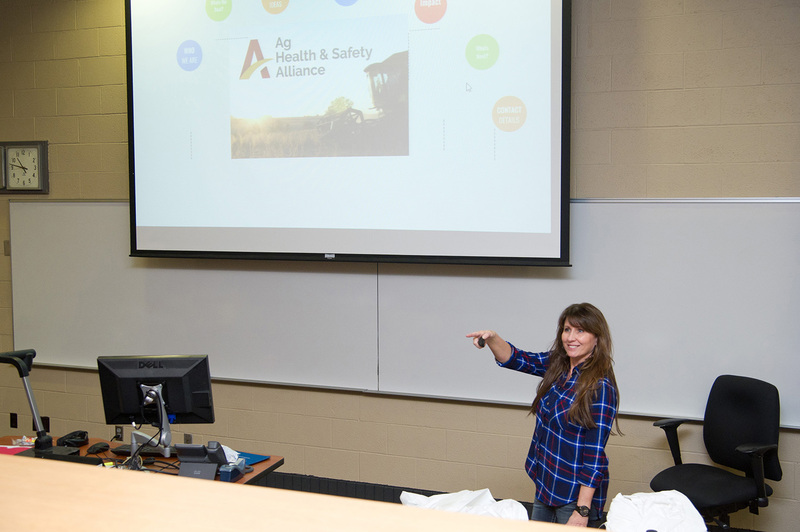 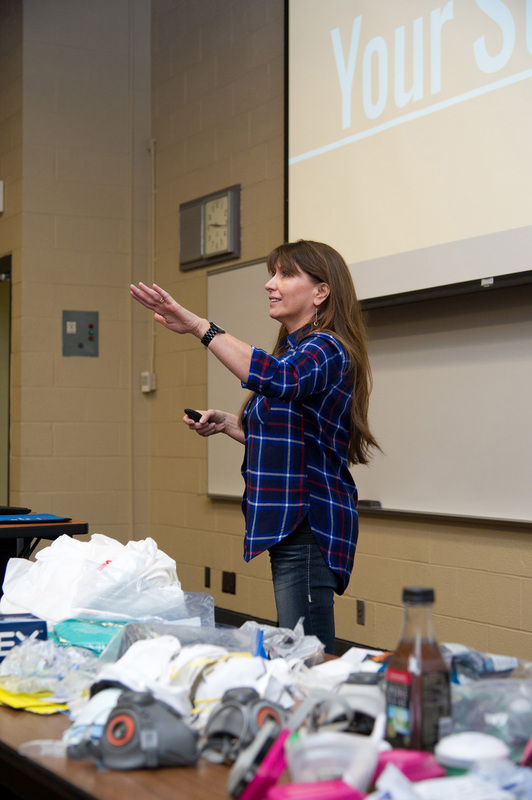 Gear Up for Ag Health and Safety™ is an interactive program that starts with a student pre-survey resulting in customized trainings that deliver an Ag health and safety message directly related to exposures at work and home. 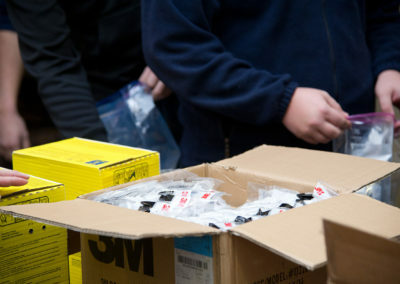 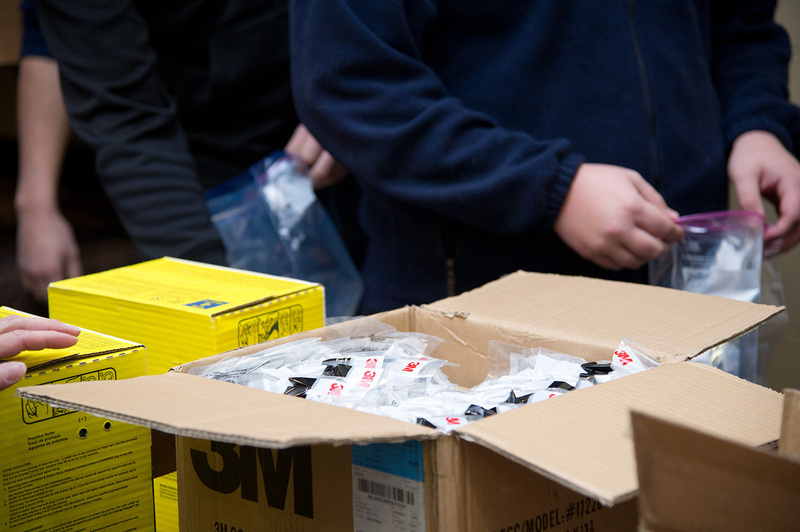 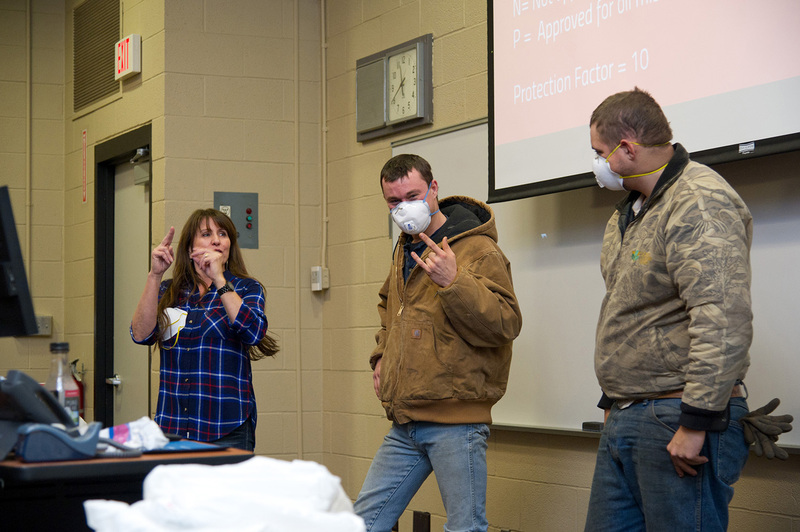 Trainings include interactive demonstrations, engaging content and distribution of personal protective equipment. 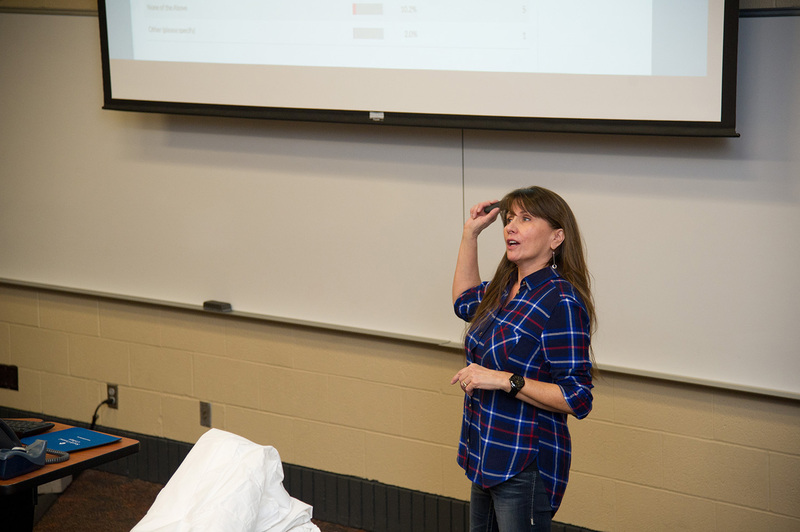 Post-surveys assist with instructor communication, comparison of international students, program development and evaluation. 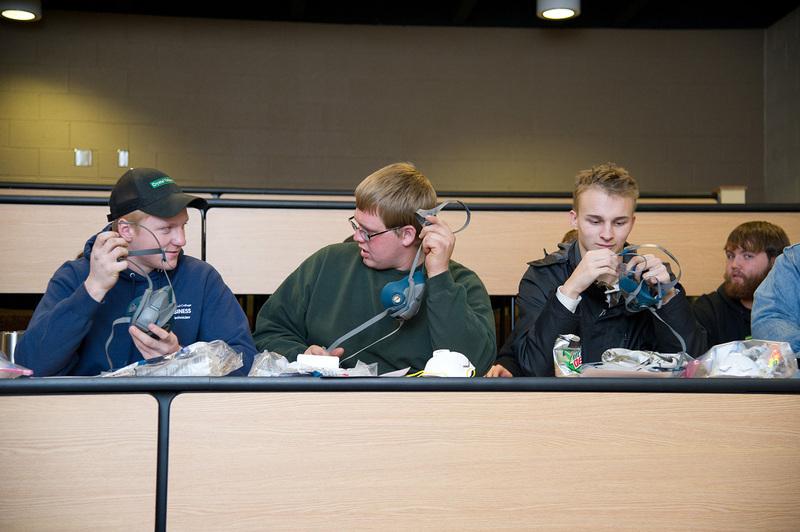 Three levels of programs are available to fit the needs of different student groups and classroom settings. 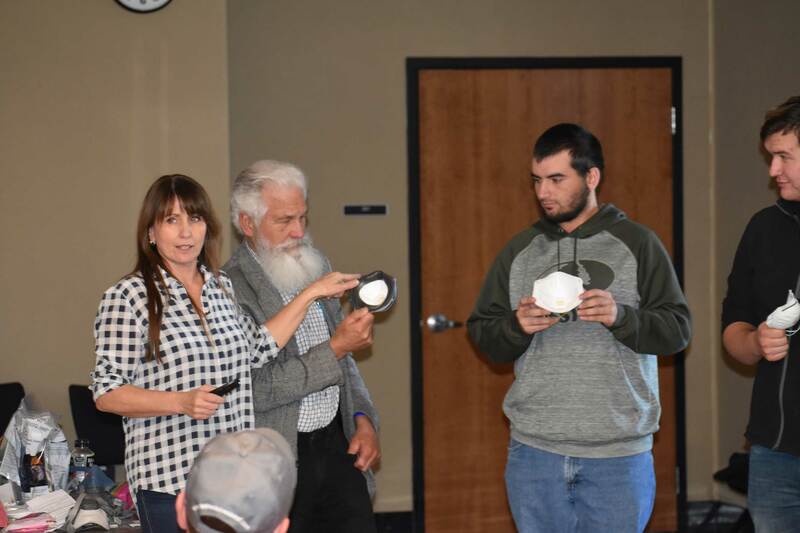 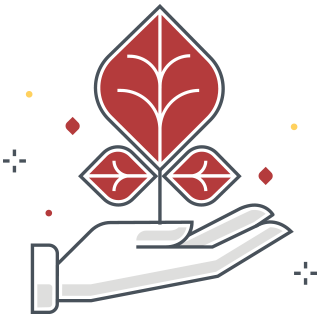 Each program can be adapted to include multi-generational groups and workers. 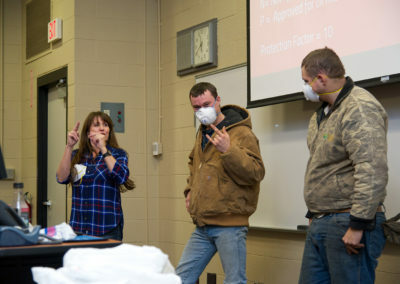 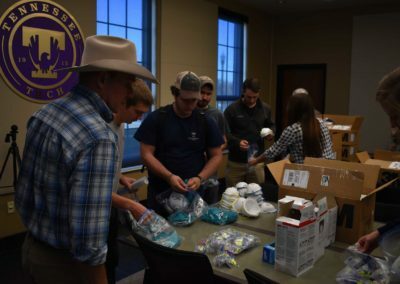 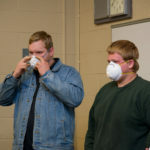 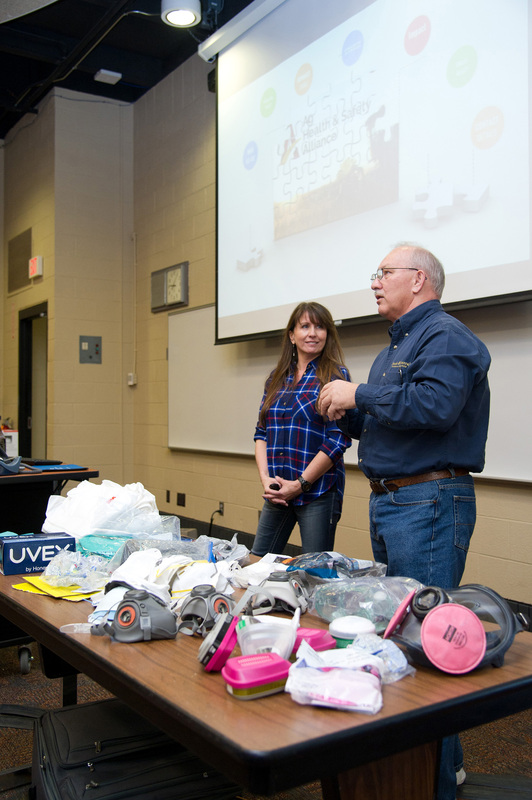 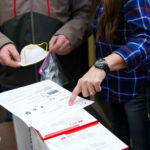 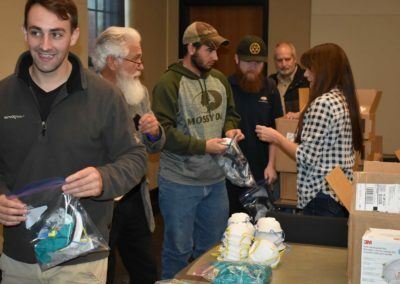 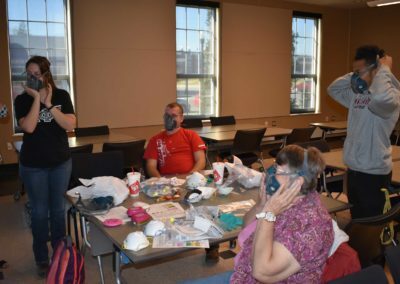 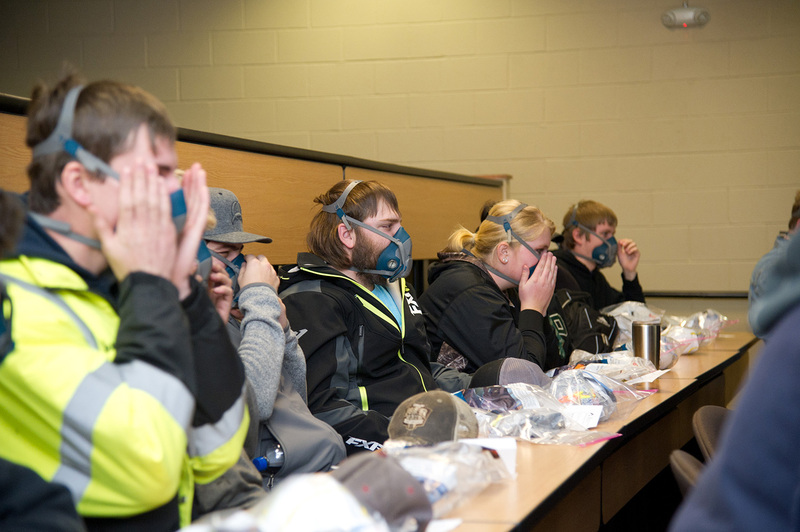 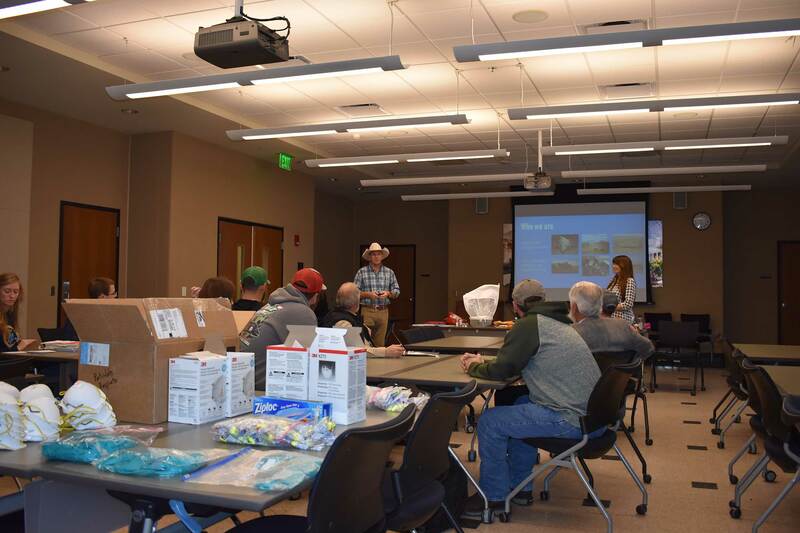 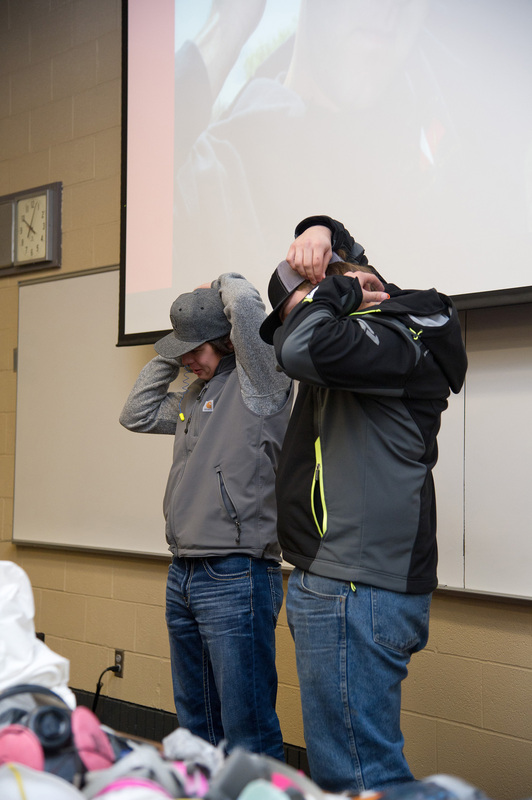 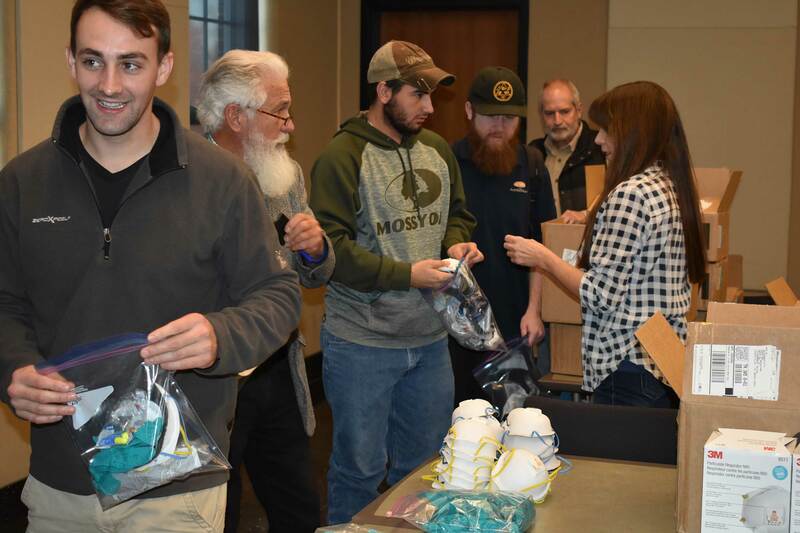 Interactive demonstration of personal protective equipment for many types of agricultural exposures with discussion of appropriate Personal Protective Equipment (PPE) for individual exposures. 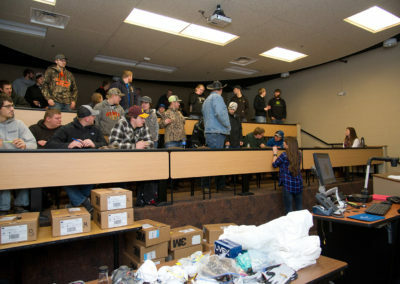 Resource discussion and distribution including local and regional resources. 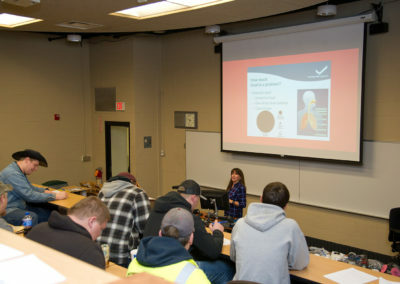 With adequate time and local health care provider resources students/participants can also have a mini health screening. 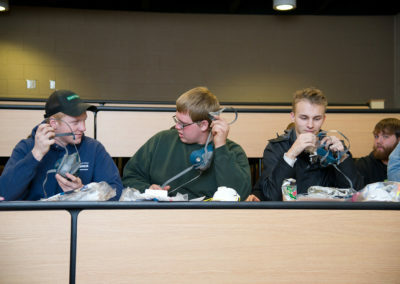 Examples are hearing screening, blood pressure and BMI screenings. 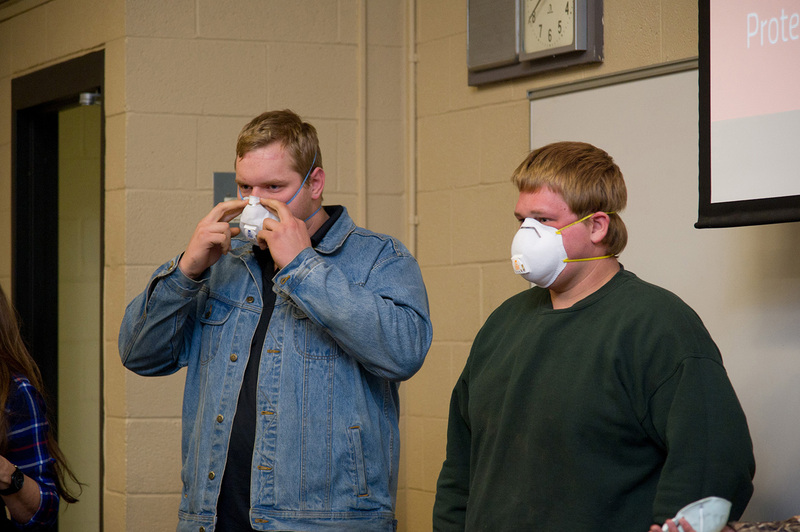 This requires time to provide correct size of gloves, coverall and correct half mask respirator for each student. 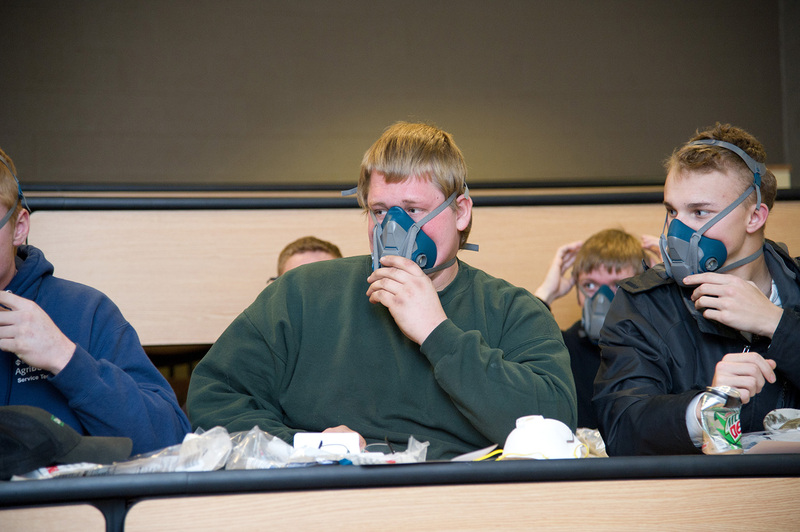 A respirator fit check must also be done for each student. 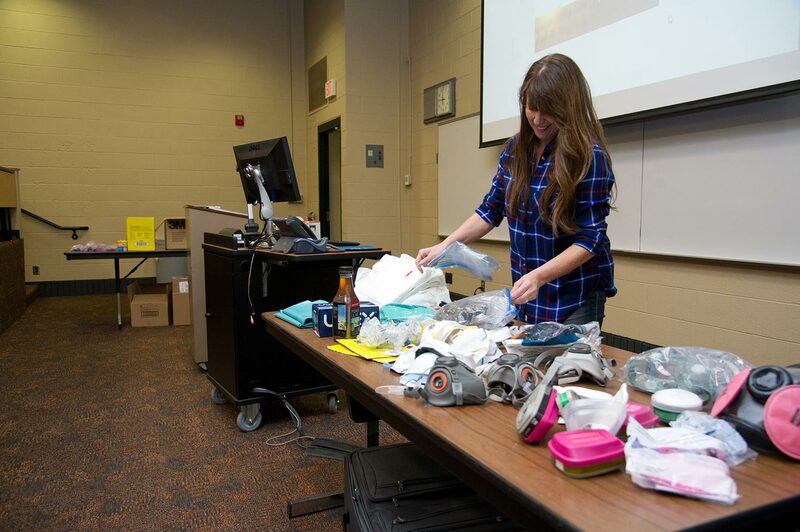 This option also requires space for these items to be located and each student to try on items as needed. 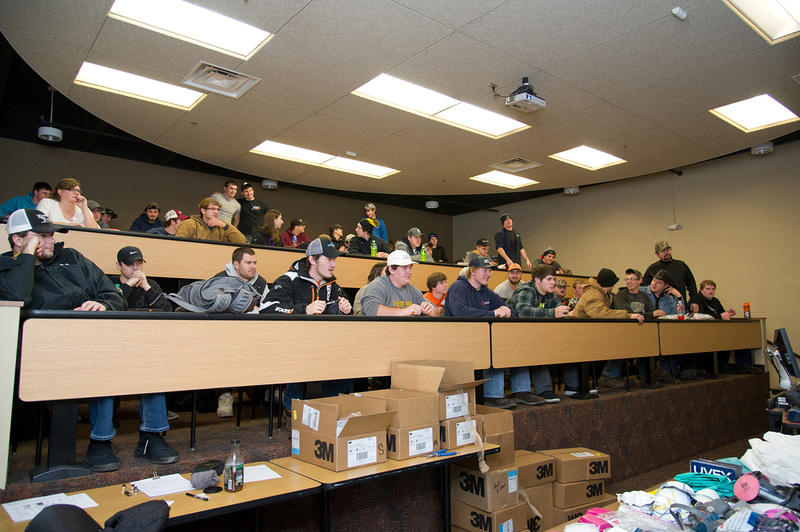 When selecting an Level 1 it is important to consider the number of students. 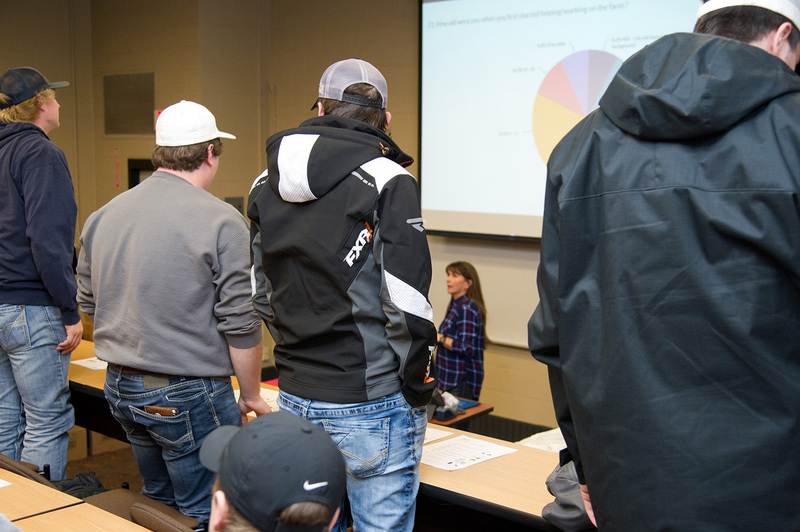 The optimum number of students is 30 or less per class. 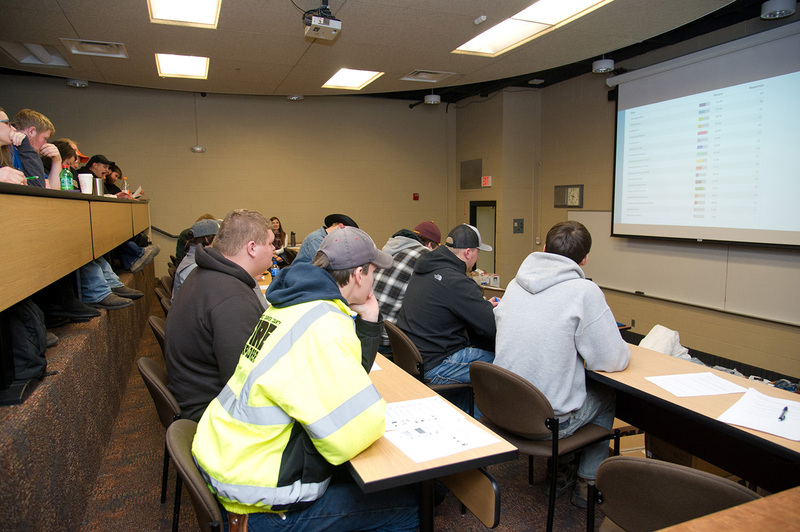 We can accommodate larger classes with adequate resources, time and available space. 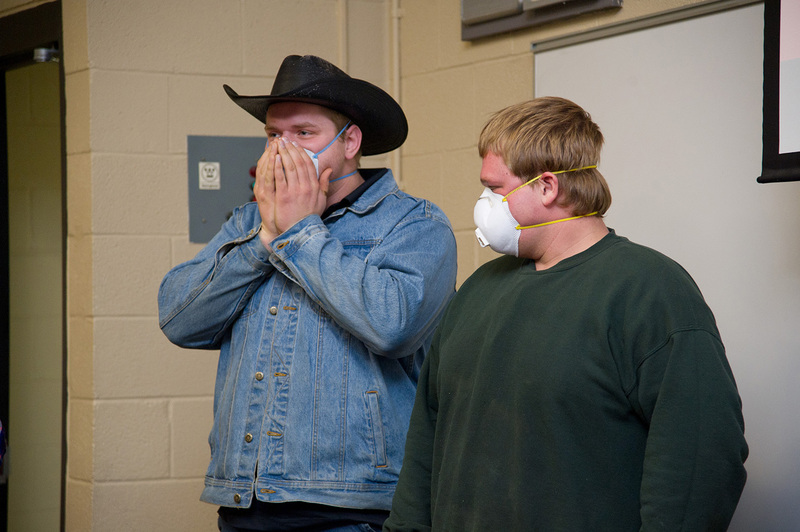 types of agricultural exposures with discussion of appropriate PPE for individual exposures. 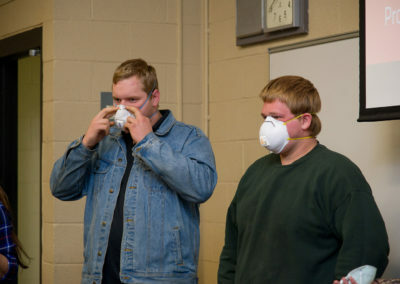 This requires time to provide correct size of gloves and coverall and respirator for each student. 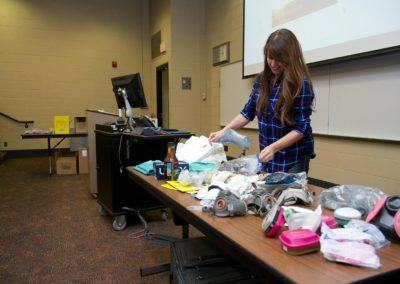 Also requires space for these items to be located and each student to try on items as needed. 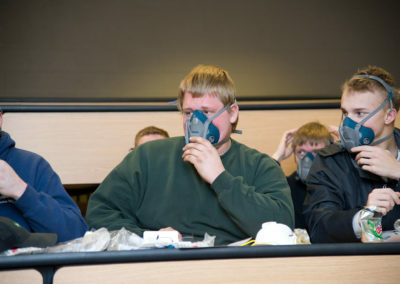 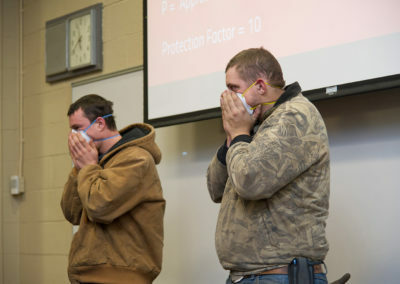 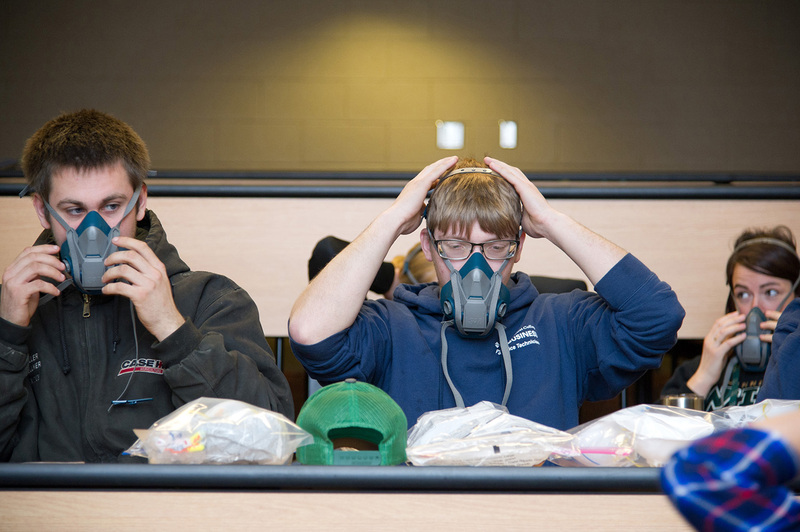 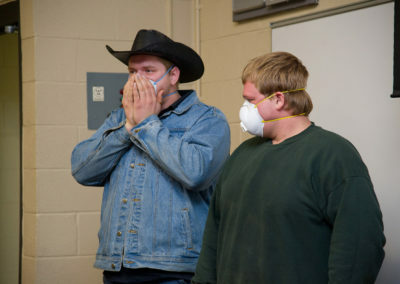 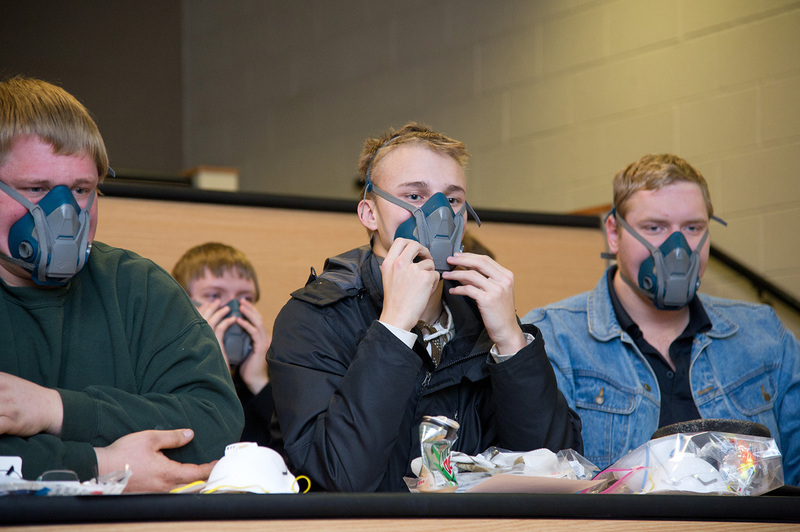 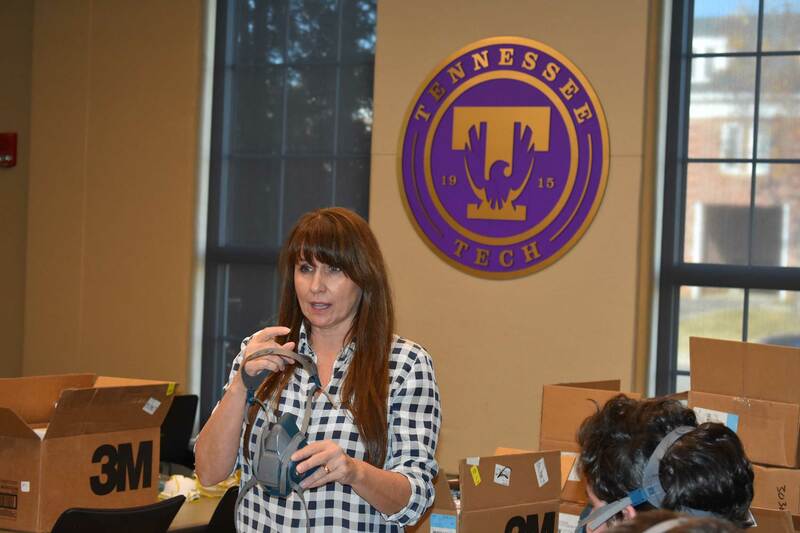 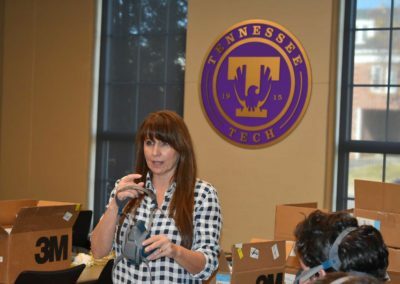 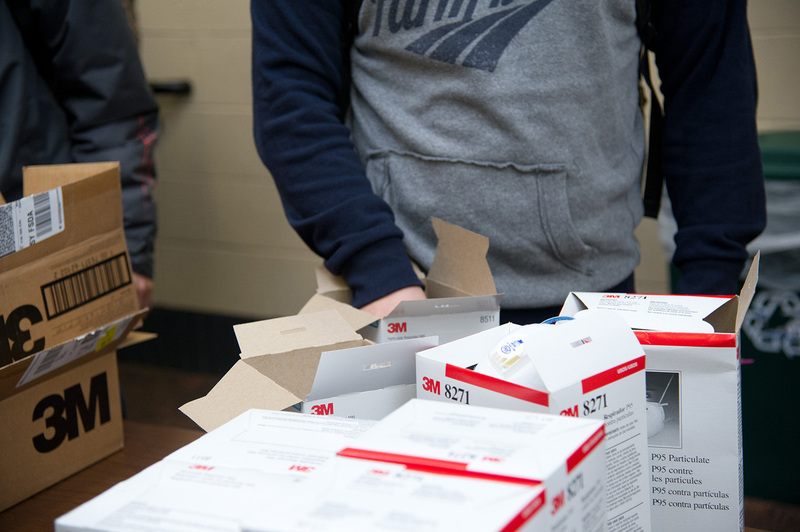 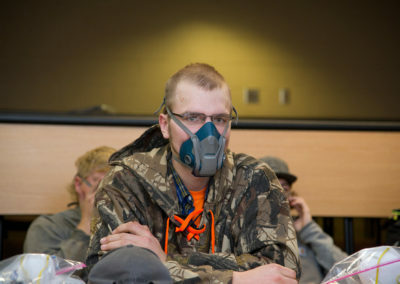 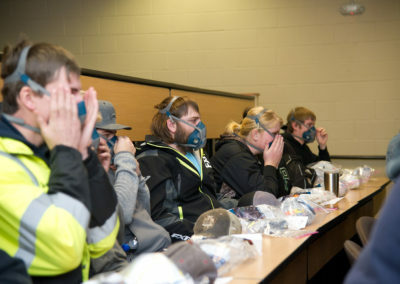 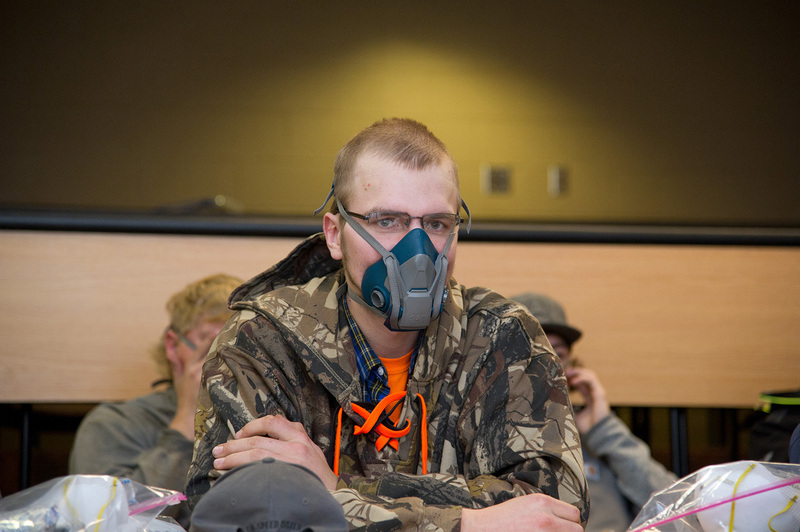 *Students who want a reusable half mask cartridge respirator will need additional time after the 2-hour session. 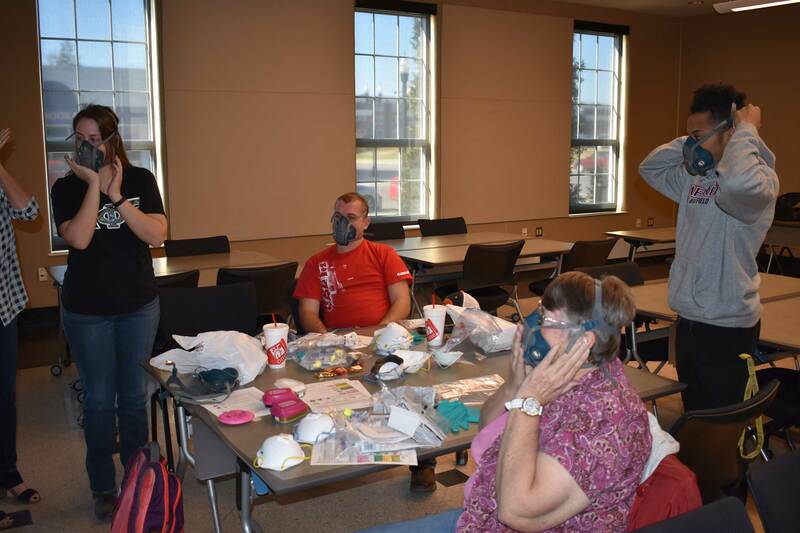 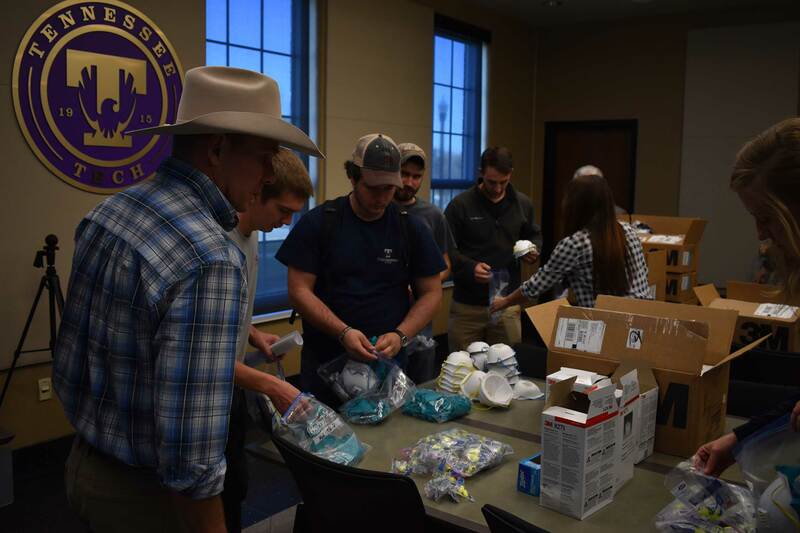 Interactive demonstration of personal protective equipment for all types of agricultural exposures with discussion of appropriate PPE for individual exposures. This does not require additional interaction with each student – this packet can be prepared ahead of time if needed to save time or if there is not adequate space for students to walk through a line to pick up supplies. 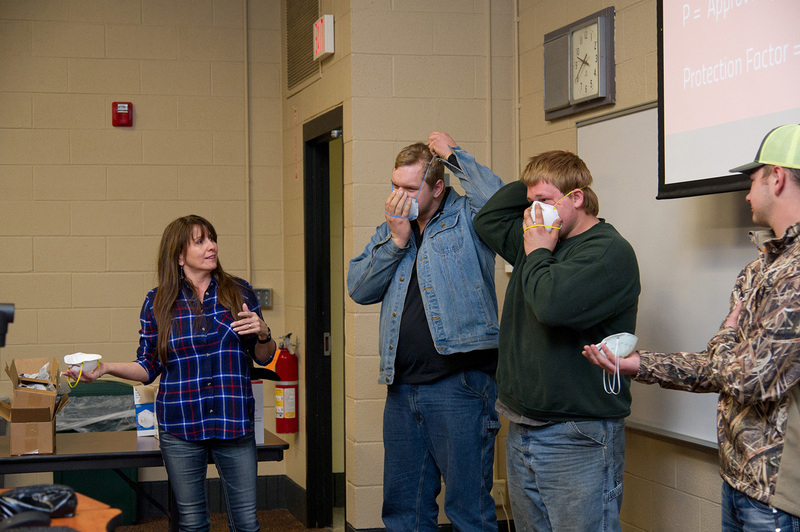 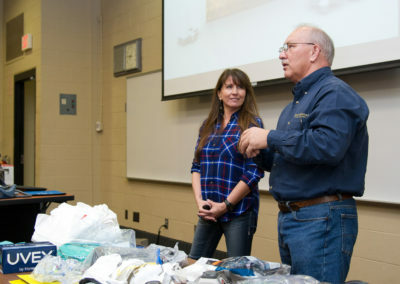 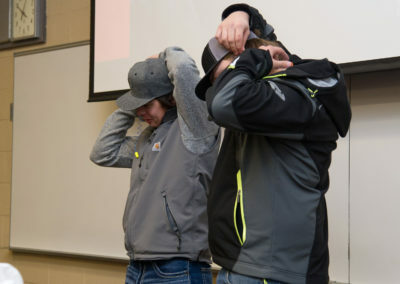 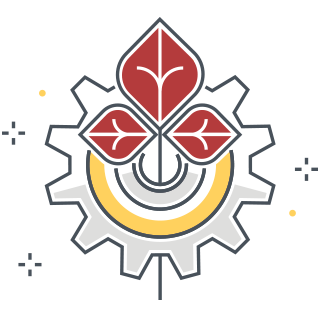 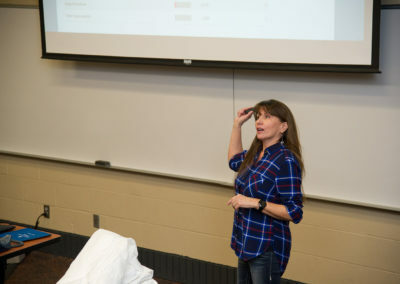 To find out more about the Gear Up for Ag Health and Safety™ Program watch this short video that was produced at Iowa State AgEds 450 farm in February 2018. 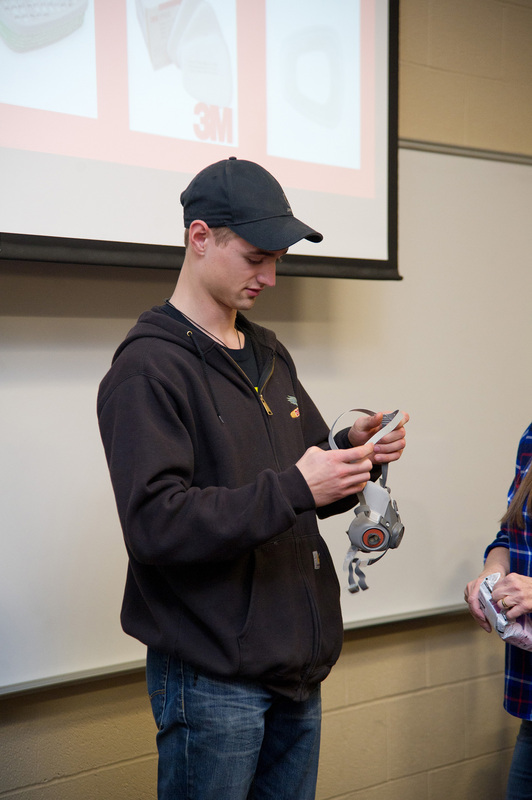 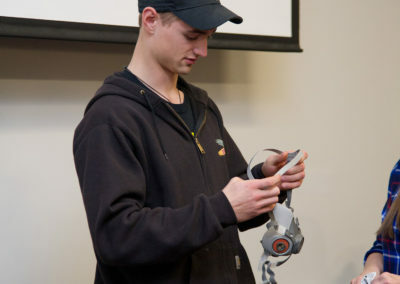 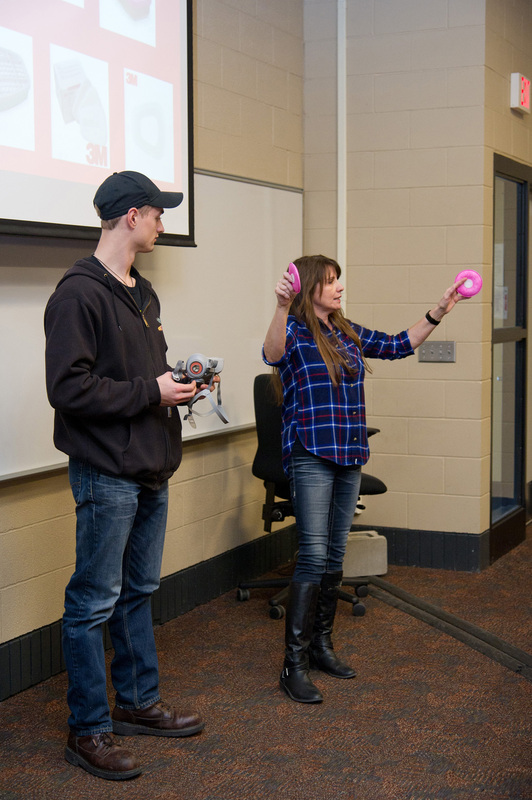 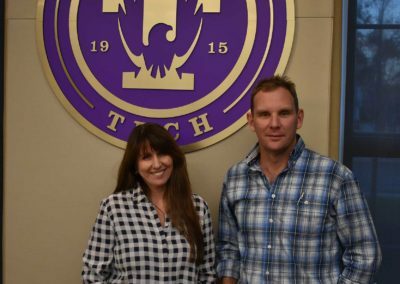 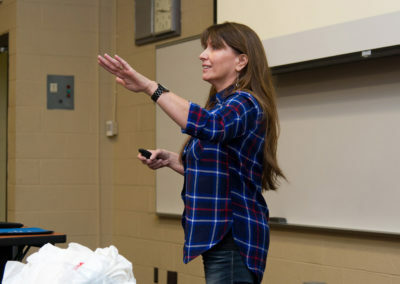 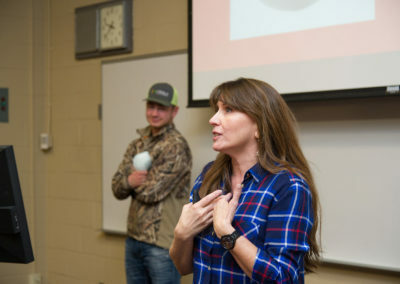 Listen to instructors and students talk about the value they find in this program.